There are numerous reasons why it is always recommended that you perform proper waterproofing when constructing a new building or doing renovations. Effective waterproofing can protect you and others using the building from a wide range of health conditions resulting from molds and fungus. Proper waterproofing will also cushion you from costly maintenance and losses incurred due to water damage. On the other hand, waterproofing also plays a critical role in enhancing the strength and credibility of a building, thereby preserving its value over time. In order to experience all the benefits of waterproofing above, it is important that the procedure is done by someone who understands it and, also using quality materials. Instead of worrying about where to find the best waterproofing services, simply talk to us. Waterproofing Singapore are the experts that can deliver superior quality waterproofing services, tailored to your specific needs. We have a dedicated team of waterproofing specialists and wider selection of the best waterproofing materials and equipment for lasting solutions. The foundation of a building is the main source of support, which must be kept in perfect shape. Even the slightest cracks on the foundation can have devastating effects on the overall integrity of the building. Whenever these cracks develop, the foundation can easily accumulate moisture, causing gradual deterioration of the structure. In order to revive the strength of the building, we conduct proper inspections on the foundation to highlight and fix all the defaults on time. Depending on the condition of the foundation, we can also perform waterproofing to keep it dry and strong enough to withstand the weight of the building. 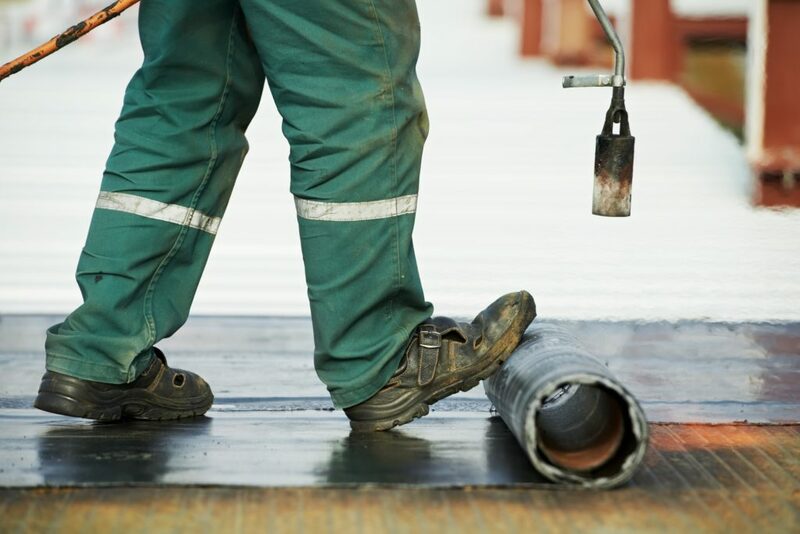 Even if you are constructing a new building, Our company can always help with waterproofing the foundation to eliminate any risks of water intrusion from below or above the ground. We offer custom foundation repair and waterproofing services for both residential and commercial buildings. The bathroom is one of the areas where so much water is frequently used and, even with proper maintenance, you may not be able to keep it dry throughout. As a result of this, a lot of moisture is accumulated on the various components installed therein, causing formation of molds, rust on metallic parts as well as quick wear and tear. The best way to keep the facility safe from all these risks is through bathroom waterproofing. At Waterproofing Singapore, we can deliver the best bathroom waterproofing solutions to make the facility more comfortable and efficient in terms of maintenance. Regardless of the size or design of the bathroom, we have the expertise to provide tailor made bathroom waterproofing solutions for homes and business premises. Besides, our company uses safe and recommended waterproofing materials and approaches for bathrooms. The balcony is not only important in making your building look beautiful but, also offers additional space where you and your guests can grab some fresh air. Since it is exposed to the external environment, the balcony can experience a wide range of faults including, structural leakages and cracks. Whenever this happens, you will not be able to enjoy the comfort of the balcony anymore. That is why we also specialize in balcony waterproofing. We can perform balcony waterproofing during the construction of a new building or refurbishment of an existing one. We understand the most suitable balcony waterproofing materials and techniques to ensure that you are not faced with leaks or any other threats of water intrusion through this part of the building. In every project, we will choose and use only the best waterproofing approaches that can guarantee lasting solutions. Most cases of water intrusion usually start from the roof and, that is why it is always recommended that you also perform proper roof waterproofing when building a house and, after every short period of time. Despite the type of roofing materials used on your building, we can provide the best roof waterproofing to properly cushion it from wall leakages and other faults. Our company has a wider selection of roof waterproofing materials for all kinds of roofs. Our roof waterproofing procedures can be done on new buildings as well as old ones undergoing refurbishment. Based on the condition of the roof and your waterproofing needs, we will choose and apply the most suitable roof waterproofing approaches for the ultimate solutions. With us, there is no doubt you will never experience leaking roofs anymore. This will not only reduce house maintenance costs but, also ensure better protection for your belongings therein against water damage. The basement is usually sunken underground, which puts it at a greater risk of various elements of water intrusion. Without proper waterproofing, the basement can easily accumulate moisture from water seeping in from the ground. As the water rises to the basement wall, it comes with a force that could also create cracks, compromising the integrity of the entire foundation and building. In order to avoid these, we offer professional basement wall waterproofing services. Although we always recommend that basement wall waterproofing is done during the construction of a building, we can also perform the procedures on existing buildings. Our company offers basement wall waterproofing for residential and business property across Singapore. And, we can always respond on short notice so that the faults on your basement wall are solved effectively before they become bigger. Concrete foundations are considered quite durable but, they are also prone to a number of hitches mainly resulting from water. One thing about concrete is that it is not waterproof and can easily allow moisture from the ground to pass through, creating dampness in the basement and other parts of the building. In fact, this happens even if the concrete is not cracked. The best way to effectively cushion your building from these threats is professional concrete waterproofing. Instead of waiting until the problem is too big, simply request for our concrete waterproofing services. Our waterproofing specialists will visit the property, conduct inspections and deliver suitable concrete waterproofing solutions. Even if you are constructing a new residential or commercial building, we can still visit to conduct concrete waterproofing. For greater structural credibility, we always recommend that the procedure is performed during construction. On your own, it can be very difficult to properly diagnose and fix causes of water intrusion into your home or commercial building. For quicker and efficient solutions, simply contact us. We will visit you on location to inspect the building, advice on suitable waterproofing solutions and prepare a free estimate. We always prepare waterproofing quotations based on the needs of every customer so that you are always able to get tailor made waterproofing solutions. At Waterproofing Singapore, we guarantee highly professional, reliable and affordable waterproofing solutions for all kinds of residential and commercial buildings in Singapore. Simply get in touch with us for a free waterproofing estimate.